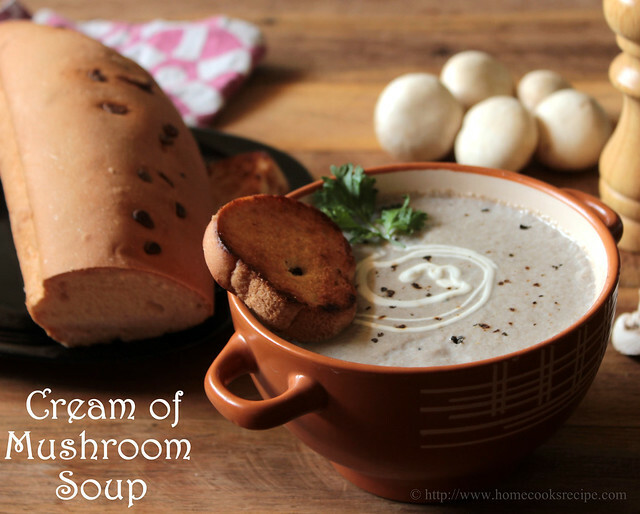 Mushroom soup is easy to prepare and it is far better in taste than ready to make soups available in the market. Soup when served along with bread make it as a good meal. 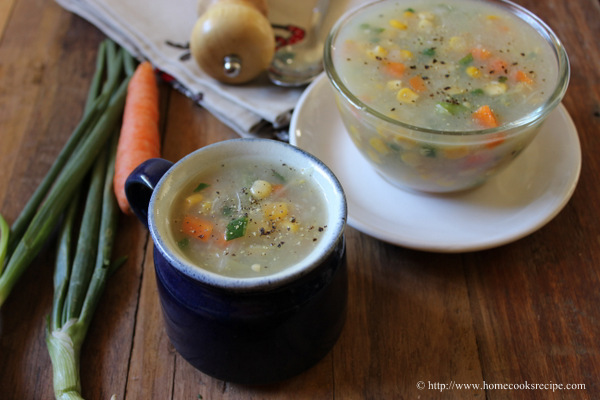 we prefer this simple meal in winter. I always make it a point to cook the mushroom the same day i buy. this way we can avoid the color change in mushrooms. 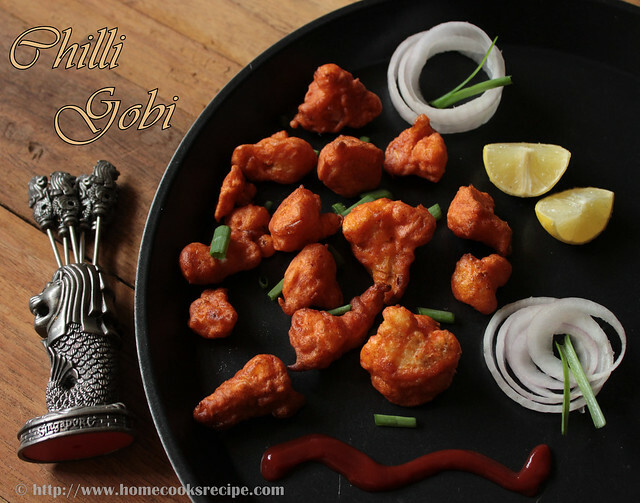 When we were in bangalore i have ordered gobi 65 at hotels as they serve it hot, which will be great for the chilling weather. 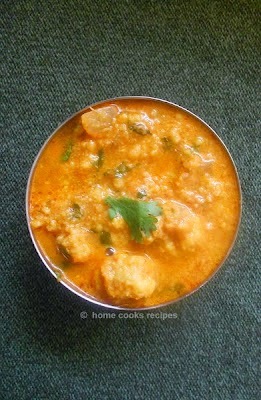 Last year i found out a superb recipe for this chilli gobi at marias menu. soon i tried and liked the fry very much. Though i did not add any sauces, eating just plain was very good. it was super crisp and tasted so good. only drawback is the recipe calls for egg white. 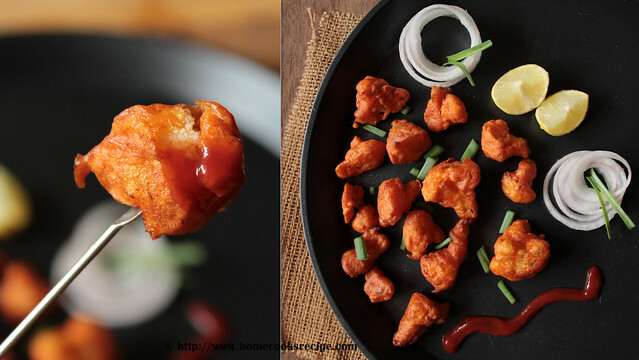 Cooking regional cuisines with their own special chilly is like bringing the same flavor and heat required for the dish. 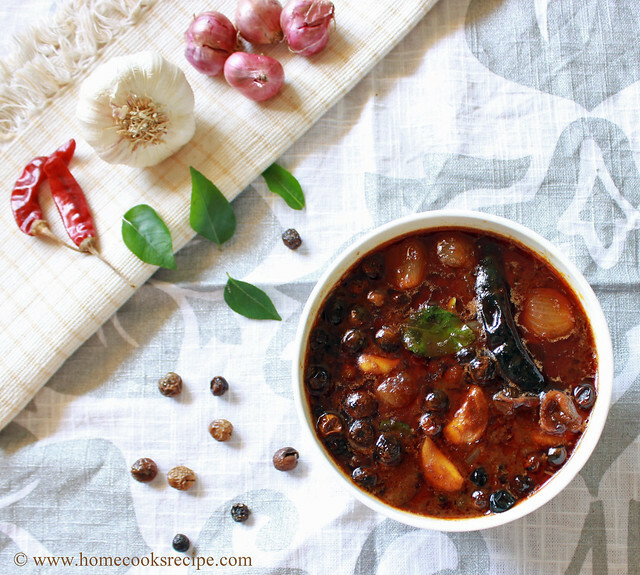 If you happen to find Kashmiri chilly, Goan chilly, Guntur chilly, Bedgi chilly, do try the regional special recipes. 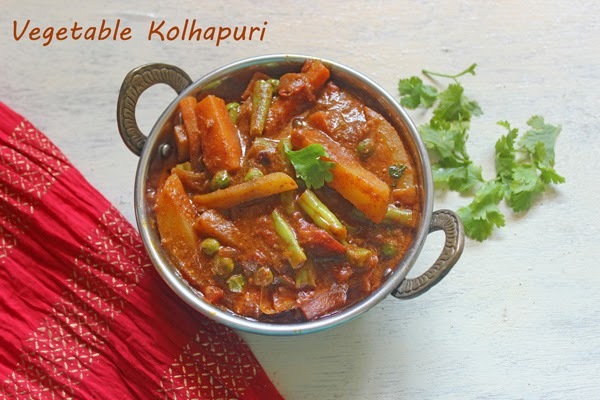 This Vegetable Kolhapuri needs kolhapuri lavangi mirchi to get the right spice and color for the dish. 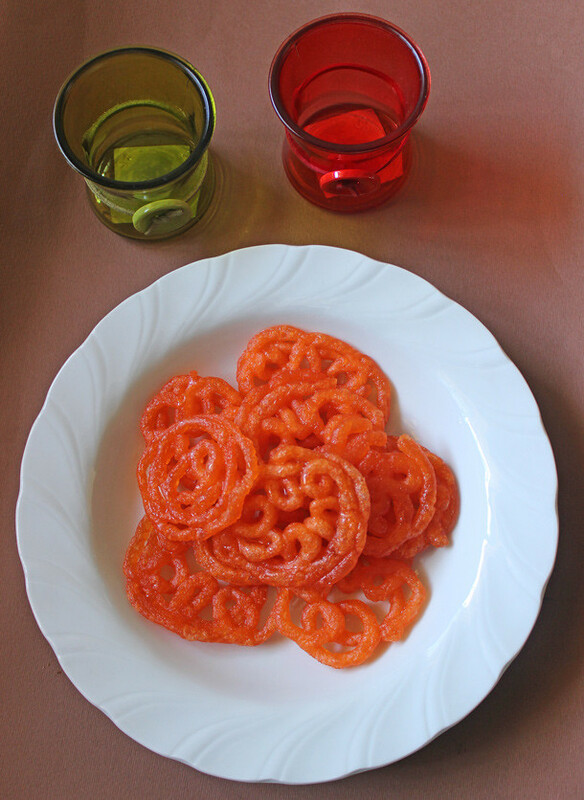 Making our traditional sweets brings more happiness. 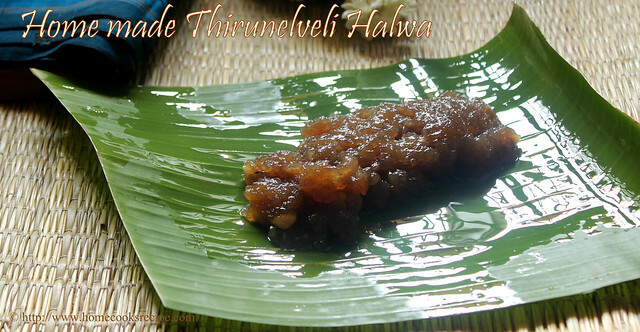 Tirunelveli halwa is my hubby's favorite. He always buys a pack of halwa whenever he visits tirunelveli. 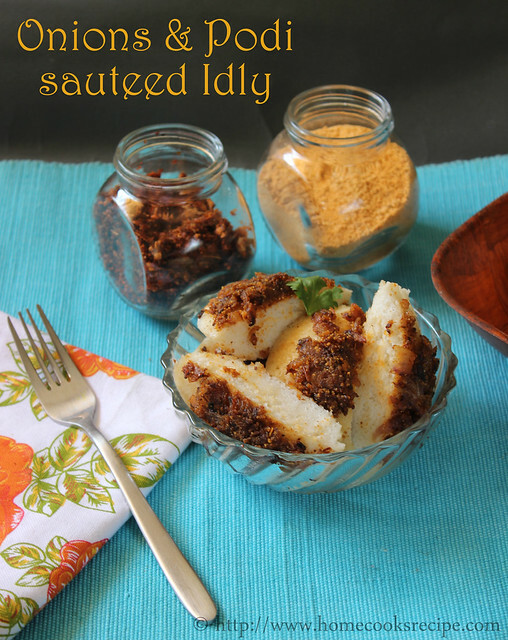 I wanted to try this halwa for this diwali, first i was little hesitant to try as it takes lots of ghee to make. Watching masterchef and all the cookery shows, i gathered my confidence and tried it. If you want to make changes in your cooking, change the variety of red chilly you use. I have been trying few dry red chilly and its interesting how it changes the color and taste of the dish. Recently i bought these kashmiri dry red chilly and we love the color it gives. Kashmiri chilly powder available in the markets should plead with these red chilies. 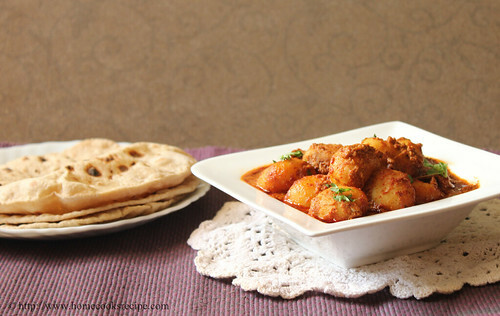 I followed the recipe for Dum aloo, but did not dum cook the curry. It turned out good. 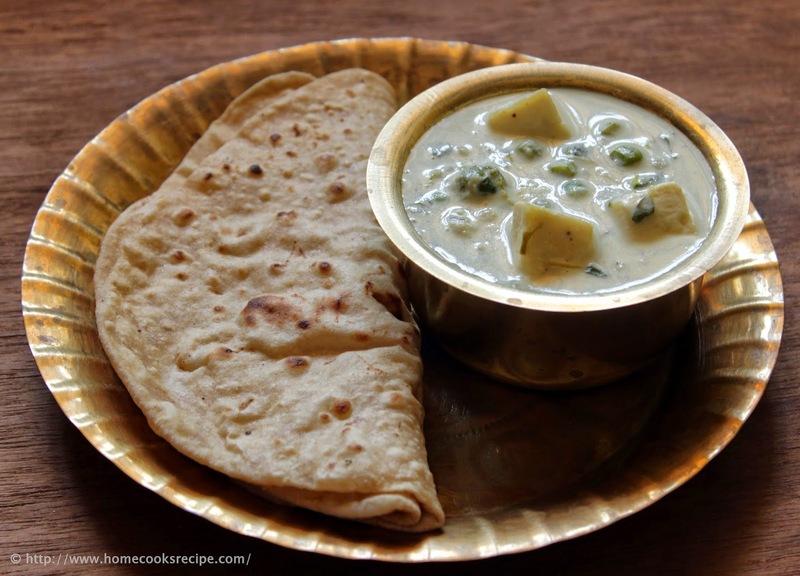 The thumb rule to prepare this is you need to use fresh curd rather using sour curd. 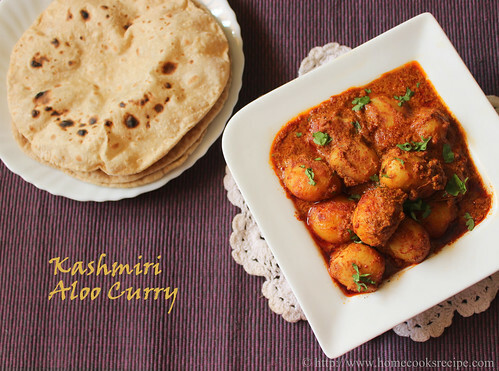 Lots of spices are part of kashmiri cuisine. Black cardamom, bay leaf, cinnamon, cloves and cumin all give up a great aroma to this curry. Though the color of the curry looks dark, it is not spicy at all. 1. 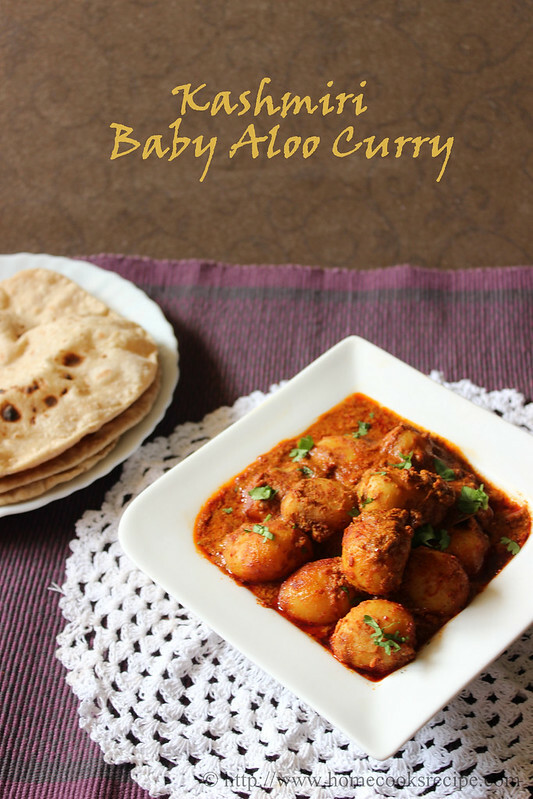 Cook the baby potatoes in pressure cooker for up to 4 whistles. Oncecooked, peel off its skin and prick them with a fork. 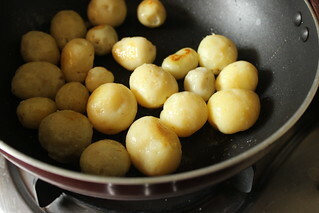 Now heat a pan, add 1 tsp of oil and roast the baby potatoes for a minute or two. 2. First Dry roast Kashmiri red chilly, cardamom, corriander seeds and cumin seeds in slow flame till they change into light brown color. 3. 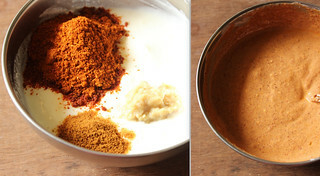 Cool and Grind the spices into a fine powder and set aside. 4. Whisk a cup of curd well. 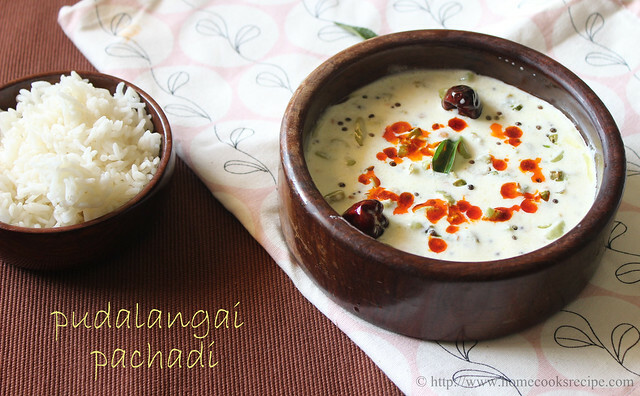 add the grounded spice powder, ginger garlic paste and garam masala to the curd and mix well. set this aside. 5. In a Pan, add ghee, when its hot add bay leaf, cinnamon stick, cardamom and cloves. 6. Slow the flame and add in the curd mix. add salt according to your taste. Once the curd is added to the ghee, give a mix. it will look like the curdled. but you need not worry. 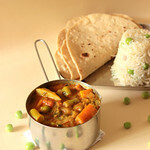 You can add 1/2 or 1 cup of water based on which consistency you need this curry. Then just simmer the flame and close the pan with its lid for 5 minutes and switch off the flame. 7. Rest the pan for about 5 minutes and then remove the curry from pan to a serving bowl. garnish with corriander leaves. 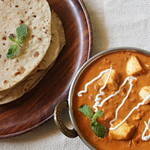 Use Fresh curd to prepare this curry. If you do not have Kashmiri dry red chilli, add 2 tsp's kashmiri chilly powder. When i was pregnant with my son i used feel very hungry. i would make one thick egg cheese dosa in 2 minutes and get out of the kitchen. those days i hated to stand near the stove. One thick dosa is well enough for a meal. This egg cheese dosa, ragi adai, chapathi wrap with soy granules and noodles used to be my food during my pregnancy. 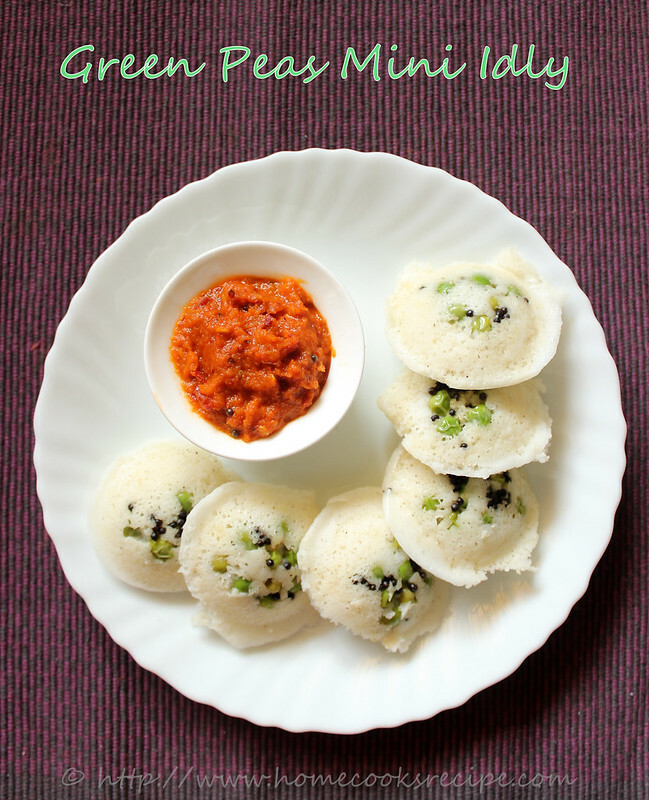 Now i make these egg cheese dosa for my son after he comes home from school. he likes it very much. This is such a long due recipe from my side. I made a video after a long time. did not have enough patience to edit much. so kindly bear with this video. Beat the egg well and keep aside. Grease the tawa with a drop of oil and use onion or potato to grease. Pour the dosa batter and spead the batter. after 30 - 50 seconds, pour the beaten egg over the dosa and tilt the tawa so that egg spreads well. add oil to the sides of dosa and throw in some finely chopped green chillies and cook the dosa on both sides. If you are using processed cheese, grate it and sprinkle above the egg layer of the dosa. 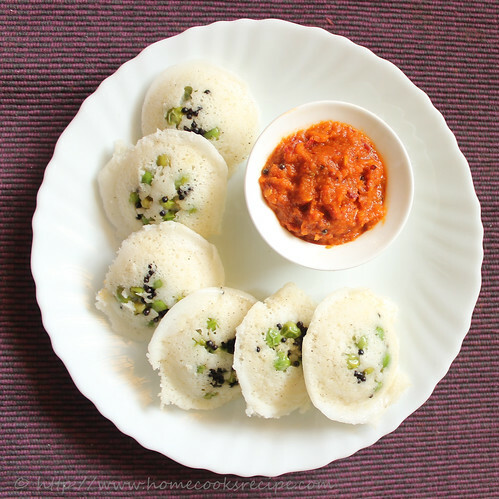 if you are using cheese slices, tear the slices and place over the egg layer of the dosa. 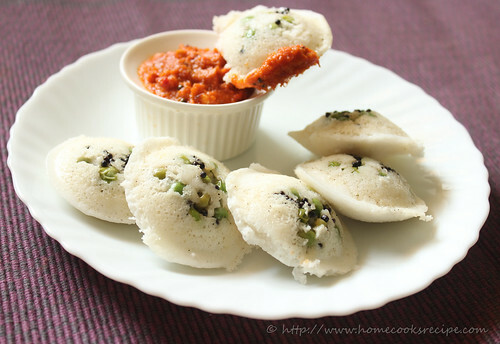 Remove your dosa from tawa and place it on a plate. Fold the dosa when its hot, so that the cheese melts. Serve egg cheese dosa hot! If you are serving for kids, skip the green chilly. Brinjal is my favorite. Dry version is what i am making now a days. Mixing this thick curry with hot rice and a tsp of ghee is the best way to eat and relish. 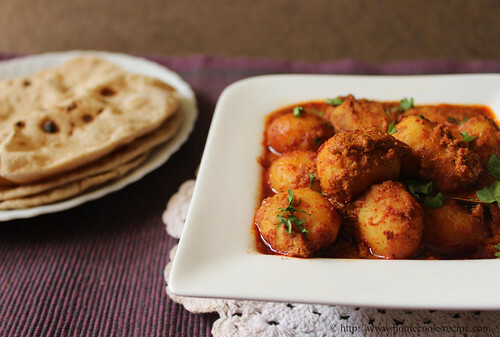 To make this curry, you need to pick tender and small purple brinjals. Recently my 6 year old boy started to enjoy this curry. though he felt the curry spicy, he liked the masala stuffed brinjal very much! !